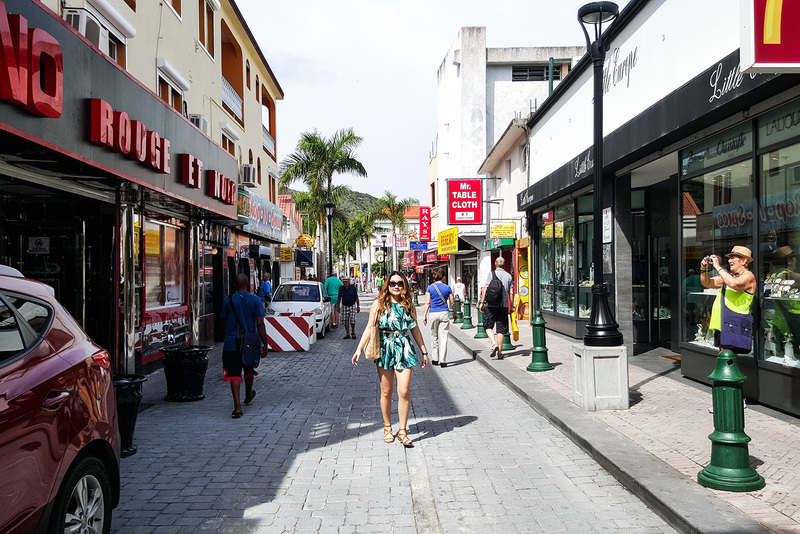 We spend some time walking around the cobblestone streets of Philipsburg. 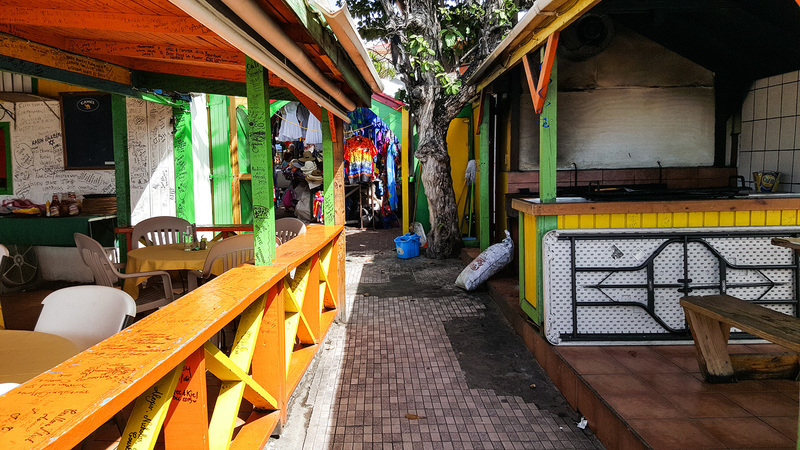 I was really under the weather that day, but the sunshine brightly painted buildings and guavaberry colada instantly picked me up. While much busier than the French side, it was still nice to explore. 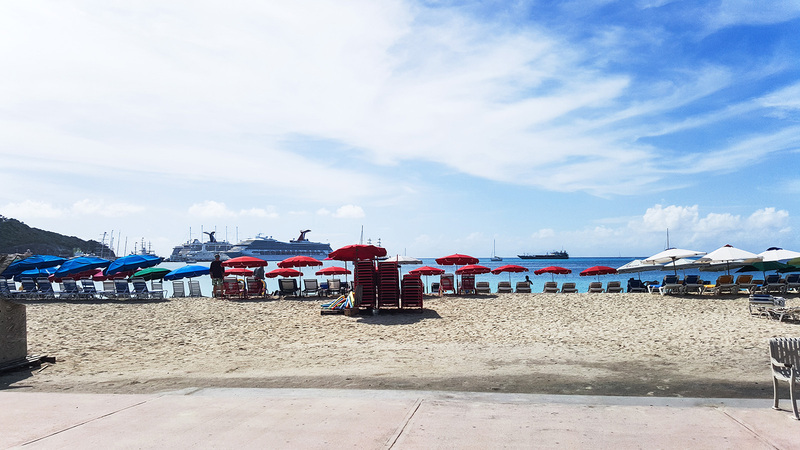 There are a lot more casinos and touristic venues in Philipsburg, especially since its a huge cruise destination. You can see a big ship in the distance in the beach photo. Luckily, we got there early in the morning before the cruisers and even some shops opened up! I’m glad I didn’t return this playful co-ord. I bought it last year and wasn’t sure if I wanted to keep it. Now, I’m glad I finally got a chance to wear it out on this trip. 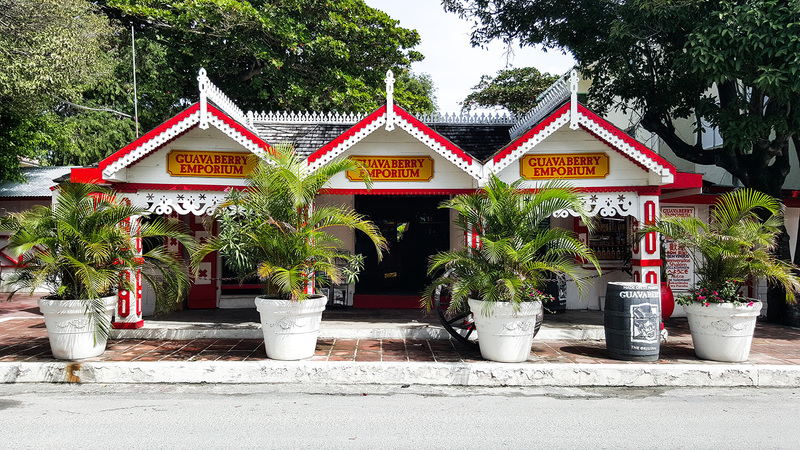 I set off to look for the Guavaberry Emporium since I heard a lot about it before coming here. They do free tastings of the colada, liqueur and rum. There were also a few other shops on the main street (Front St.) that had tasting tables of different flavored rums. Good times. Another big seller were Cuban cigars, something that’s been banned in the US due to trade restrictions. I miss the sunshine as I write this in the midst of winter in NYC. More from Sint Maarten/Saint Martin coming up, soon! One more thing…. I’m running a giveaway with Mejuri jewelry HERE. Lovely outfit! I am in love with the palm print! You look flawless and fun in that beautiful set! Have a great time there!